What better place to promote your company than on these comfortable hats, which are sure to be a client favourite? When you take the company logo and mission out into the world, everyone gets a chance to see what all the buzz is about. 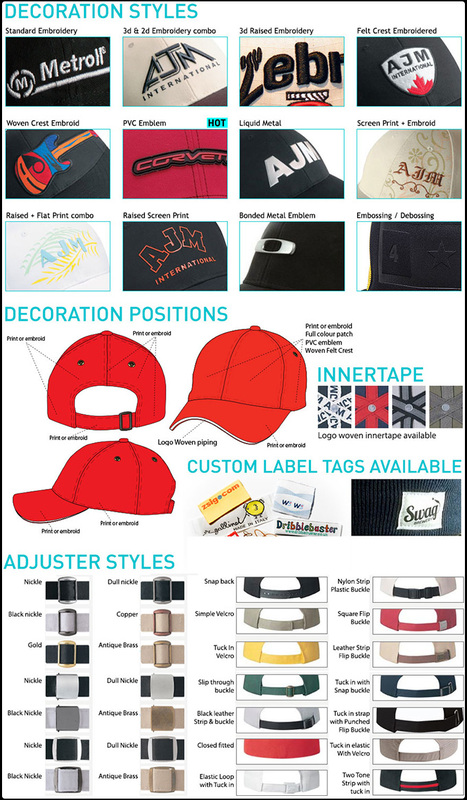 ith a wide variety of embroidery options this product can be completely customised to best showcase your brand’s unique style. Brushed heavy cotton and adjustable fasteners make for a great relaxed corporate gift. There’s nothing like a company that spreads the company message in style, so consider this engaging product for your clients and you certainly won’t be disappointed.